Updated Thursday February 7, 2019 by MTLL. 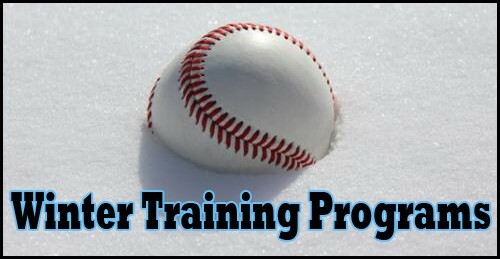 Winter training sessions will be held at Vitale's Perfect game. The address is 51162 Filomena Dr, Shelby Township, MI 48315. Age groups and schedules are listed below. Registration is done online through the Camps and Clinics registration link on the homepage. You must be enrolled in the Spring Season to be eligible for winter training. Every class is first come first serve. These classes are extremely popular and tend to fill very quickly. Classes will be held on 5 consecutive Saturdays or Sundays from 2/23/19 to 3/24/19. Each group will consist of 20 kids with 2 adult instructors. Every week will focus on a different aspect of the game such as hitting, fielding, pitching, etc. All classes are indoors at Vitale's Perfect Game. Participants: Zach Weegmann, Luca Olivero, Jaxon Papiez, Anthony Tabacchi, Brian Gorman, Nicholas Hazelton, Josh Decker, Brady Melow, Anthony April, George Marshall, Connor Hess, Keegan Ahearn, Paxton Kroll, Michael Tiseo, Evan Patterson, Cade Newman, Camden Torrence, RJ Holden, & Ryan Maroulitsas. Quinn Campau, Anthony Ostrowski, Hunter Malopolski, Landon Houghtaling, Rocco Tiseo, Derek Woodruff, Joshua Sifton, Michael Lalama, Antonio Lalama, Dominic Bihnam, Jace Madeleine, Brody Brincheck, Brandon Jacobs, Khristian Johnson, Westley Martin, Micah Hammersley, Zachary Duda, & Brayden Andrzejewski. Participants: Preston Gawne, Aidan McKay, Anthony Frederick, Vincent Daigneau, Gianni Orlando, Jacob Barron, Gabriel Hartwig, Lucas Olsson, Sebastian Baffo, Parker Kenyon, Ben Sabalinski, Connor Cameron, Blake Cucuro, Zachary Baughman, Noah Eovaldi, Brennan ODell, Michael Kropfreiter, Gavin Kropfreiter, Ricky Randall, & Tysen Bobbitt. "What do the boys need for 8-9 training? Cleats/shoes..... Sorry if I missed something on it. " "Shoes, bat, glove, It's indoors."